In the entrance to the Main Library branch on Pacific Avenue, there is a statue of a headless man on fire–an allusion to Ray Bradbury’s classic novel Fahrenheit 451. The statue serves as a constant reminder of the importance of reading, education, and books, and the need for a society to protect them. In times of economic tension and budget crisis, libraries and liberal arts are usually the first to be cut. 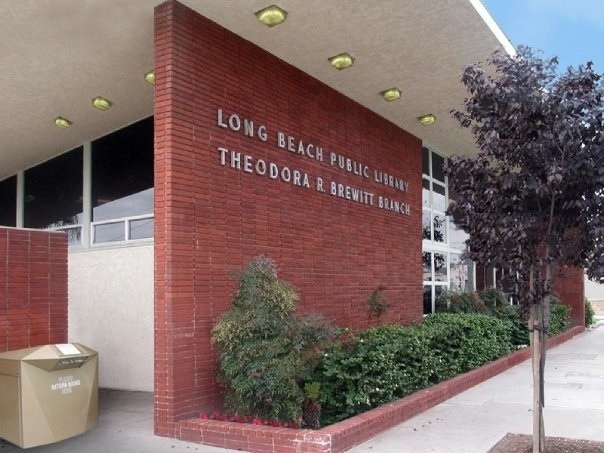 But with the adoption of the Fiscal Year 2013 budget, the Long Beach Public Library system is not only losing some money for new books and staff, but will also be undergoing one significant service change. Effective Tuesday, October 22, the main library’s hours of operation now begin at 12PM Tuesday through Thursday, instead of 10AM. This change in opening time keeps the Main Library on the same schedule with the neighborhood libraries. While Williams understands the reduction of staff will affect the number of people who can assist patrons coming into the library, she downplays the impact of the library changes, because she sees that it could have been much worse. Initially, they were going to be forced to lay off 16 people, but that number has been reduced to six. And a slight alteration of Main Library hours is nothing compared to the cuts that Long Beach’s libraries have undergone in the last few years. 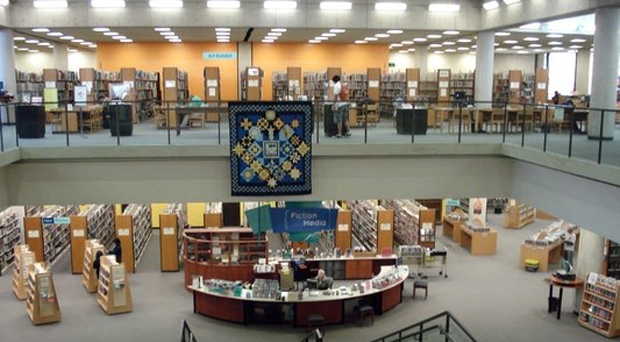 In 2010, all 12 branches were moved to a five-day-a-week schedule (they are now closed on Sundays and Mondays) and earlier this year, six branches—mostly in affluent neighborhoods—were converted to an alternate-staffing model which utilizes part-time support staff and limited librarian assistance. Library branch photos courtesy of Long Beach Public Library’s Facebook page. In a proposed budget—which was to slash 9.4 percent of the library’s funding—more branch locations were supposed to become these self-service libraries with fewer staff. Patrons wouldn’t be able to pay fees or complete any transactions with a cash register, such as checking out CDs or DVDs. Then that changed. But how do these gradual cuts and changes affect the Long Beach community? Is the role of the public library in jeopardy? Williams stays positive by viewing the changes as a shifting of models. She is confident that the basic focus of what the library is trying to accomplish hasn’t changed. Sara Myers, Executive Director of the Long Beach Public Library Foundation, isn’t sure how some of these changes are going to pan out. Family Learning Center is one of LBPL’s programs Myers sees being affected. The Family Learning Center is a station for families to receive help with homework, resume and job applications. Also, families have access to computers. Unlike the other computers in the library that have an allotted-use time of one hour, families can have unlimited access to the computers, depending on wait need, at the Family Learning Centers located in the libraries. Myers points to programs like The Family Learning Centers and others the library operates as important tools in fighting illiteracy—an issue she believes deserves greater attention in the city. According to Myers, only 44 percent of all Long Beach third graders and 36 percent of low income third graders are reading at or above their grade level. One of the biggest problems the library now faces, says Myers, is that people don’t really understand all there is to offer. For example, anyone with a library card has access to a language-learning program, similar to Rosetta Stone. Also, patrons can download eBooks, magazines and manuals straight to their Kindle, iPad or Nook. LBPL also possesses large Spanish and Khmer-language book collections, the latter of which is currently being added to by two librarians on a book-buying trip to Cambodia. With advancing technologies like e-readers and the changing book industry, libraries are undergoing significant changes, and it leads people like Myers to start to wonder about the evolution of the library. She sees marketing and public awareness as a large part of the issue. People in the community need to understand all that a library has to offer and what they’re trying to accomplish. To find out more about the Long Beach Public Library’s services, programs and branches, visit them online at lbpl.org.